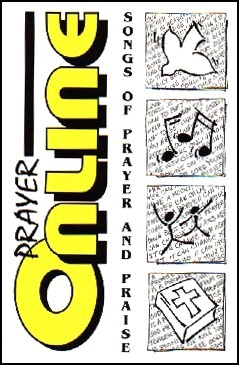 Prayer Online is the first project published by Cross the Sky Ministries. The songs were originally written to support a summer Bible camp theme about prayer. The music ranges in style from kids action songs to contemporary praise. A liturgical setting is available based on five of the praise songs. Listen to a few song samples below. We hope you enjoy the music! Seven the songs from Prayer Online support a musical entitled “Surrounded By Prayer” about a group of kids who go on a camping trip into the wilderness. Along the way, the campers learn some fun and important lessons about prayer and faith in God. It’s great for youth groups, Sunday school, or a special youth performance at your church. A chorus about how God works faithfully and graciously in and through our prayers. A singalong for kids teaching that God can work mightily through our prayers. A fun version of the Lord’s prayer, written to help teach Jesus’ model of prayer to beginners. Choose a complete package or a single item from the menu below and select “Add to Cart”. For permission to make photocopies of the musical booklet, add the full copyright use fee to your order. Shipping: $2 will be added per line item for online orders. We ship via priority mail.